A survey conducted by civil society organizations has indicated that 85 percent of Ugandans do not support the proposed constitutional amendment to lift caps on the presidential age. The study, titled: ‘Citizen’s Perceptions on the Proposed Amendment of Article 102(b) of the Constitution’ was commissioned by Citizens Coalition on Electoral Democracy (CEEDU) and Uganda Governance Monitoring Platform (UGMP). It sampled 50,429 citizens in 80 constituencies across the country. It covered 22,926 females and 27,503 male respondents. The findings released yesterday indicate that 95 percent of citizens in the eastern region do not support the proposed age limit removal. In the northern region, 86 percent of the respondents rejected the proposal, while 76 percent of respondents in western Uganda objected. Buganda (central) region had the least rejection rate of 66 percent. 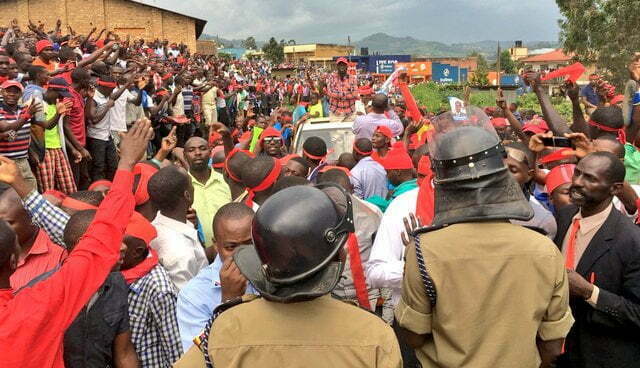 Kyegegwa North in Tooro sub-region has the largest number of citizens supporting the amendment of the Constitution to remove the presidential age limit with 92 per cent of the sampled population in the area endorsing the amendment. The one question survey didn’t delve into the reasons for supporting or rejecting the age limit amendment. In Igara West, 83 percent of the sampled females and 88 percent males don’t support the amendment. The constituency is represented by Raphael Magyezi, the mastermind of the private member’s bill on which the proposed amendment is based. Constituencies such as Mbale Municipality, Bulamogi (Kaliro District) Bungokho South (Mbale District) registered 100 percent rejection rates. The Great Lakes Institute for Strategic Studies (GLiSS) executive director Godber Tumushabe who presented the survey findings at Olive Gardens, Bugolobi said it shows Ugandans are unanimously opposed to the constitutional amendment. He said the findings also mean that government needs to subject the amendment to serious public scrutiny. 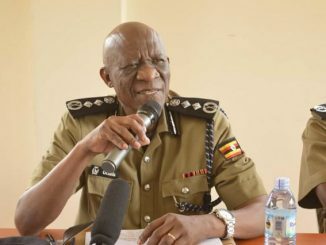 “We found that out of the total number of citizens who participated in this survey 85 percent are opposed to the removal of the age limit and 15 percent are in support of the age limit. In central the support for the bill is at 34 percent, the opposition to the bill is at 66 percent. For the Eastern region, the opposition to the bill is at 95 percent, the support is at only at 5 percent. In the West, the support for the bill is at 24 per cent and the opposition is at 76 per cent,” Tumushabe said. The report suggests that there is a need for parliament to come up with minimum standards on conducting consultations on matters concerning constitutional amendments. The report also suggests that there is a disconnect between the assumptions made by MPs about the people they represent on amending the age limit. “There’s also need for parliament to come up with minimum standards on conducting consultations on such important matters like amending of the constitution. Because like I said, part of what triggered this study, was to say how can MPs go out there and somebody says I will consult my party, the other one says I will organize a public rally. How does that become a process of consultation? Related to the above, the government needs to prevail over security organ individuals to desist from disfranchising citizens and the organisations who hold divergent views from those held some members in government,” added Tumushabe. The three-month survey conducted between September, October and November was supposed to cover 100 constituencies but Tumushabe says it fell short of the targets because some research assistants were arrested or data confiscated by security agencies. Dr Livingstone Sewanyana, the executive director of Foundation for Human Rights Initiative says the survey shows amendment of the constitution is not a priority for Ugandans. He says Ugandans would like to see government tackle pressing challenges such as unemployment, poor remuneration of government employees as shown by striking government employees. “I think what we need to emphasize and what the data seems to establish is that amendment of article 102(b) is not a priority for Ugandans. I think that should be clear to government of Uganda. Whatever steps they take to amend that particular article they should know it is not a priority for Ugandans. And actually, the pattern shows you very clearly that where people are in dire need of services, they really don’t want to hear about anything about the amendment of article 102(b). A member of the East African legislative assembly, Hon Abdallah Makame has stated clearly that even within the East African Community, they are opposed to the amendments of presidential term limits, age limits. And that is the reason why up to date within the East African Community, there is no protocol on governance. They have put it very clear,” said Sewanyana. The Legal and Parliamentary Affairs committee which is handling the bill is now retreating at Lake Victoria Serena Resort- Kigo to draft the report anticipated to be presented to parliament on Tuesday next week. 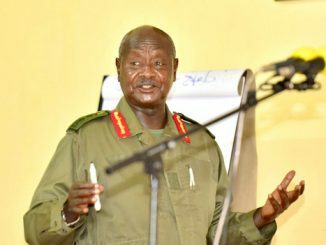 The amendment has been interpreted as a ploy to give Museveni a leeway to contest again for the presidency. Museveni who has been in power since 1986 will be aged 77 in 2021 when Uganda is supposed to have the next round of presidential elections. 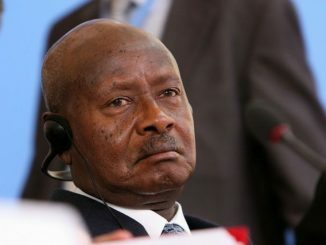 With the constitution capping president between 35 and 75 years, Museveni would be ineligible to contest.